With social media, the introductions to new tools never seem to stop and that's a good thing! Communities were recently intro'd on Google+: What’s up with that? Okay, it’s an answer to “groups”; you know, what Google’s competitor, Facebook has. The video to introduce you to the concept uses a foodie as an example: Now she has a place where she can tout the benefits of farm fresh eggs vs. store bought! Are you excited yet? 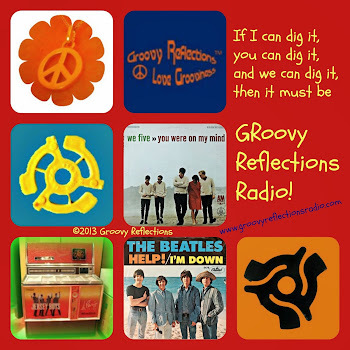 Yes, Groovy Reflections has a community! Google Plus community. 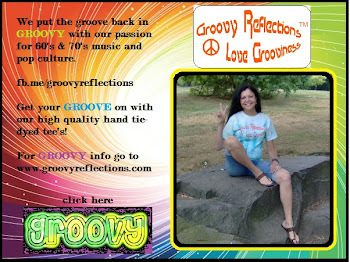 Groups on Facebook can have thousands; here's an older article stating that some groups have over 1 million. Yikes. If that’s the case Facebook, why not have a page instead? How would one moderate a group like that? Google Plus, I certainly hope you put a limitation on these groups; maybe 500 tops? Well, guess it’s higher than that since I’ve seen 18,000+ in one community already! That would make it a full-fledged town, no? The new Google Plus communities are meant to be specialized; think of them as a place to gather with other people about your passion for the color orange, Fiestaware, Star Wars toys, your favorite surfing beach, or perhaps your love of shar peis. They can be public or private (whew!). The ability to hangout with the community members is available. And you don't have to have a page in order to have a community; you can create them from your personal profile too! What’s nice is that all members of the community can easily post (something that is lacking from Google+ pages, thus making it truly engaging). Members will be able to share content they’ve found on the internet with the Google “+1” button; another plus! My first invite to a community made perfect sense. It was called “market research”; yes, right up my alley. I accepted the invite and wrote a “how nice to be invited / hello everybody” and also commented on one of the first posts there. No comments on either. I then noticed that everyone else was welcomed by the moderator. Gee whiz…was it something I said? Oh poo; I didn't accept! If you’ve been “sloppy” with your circles, like I’ve been for this particular page, you’re in a pickle. You’ll have to create a new circle put those who you feel would actively participate in your community into that circle and invite them. I managed to invite 112 followers in one swoop, however, my search for what the limitation on how many to invite at once brought no results. Once you've set up your new community, here’s a couple of snags that you might find, relayed very nicely in this article. Of course, the best way to learn more is to try it out and see if it’s for you. Join something! The Youngbloods sang about “Getting Together” back in 1967; though they were talking about it in a less virtual way. And if you’re feeling like joining us, stop by our website, or say hi on Twitter, Facebook, or Google+. I continue to learn a lot from your posts. I am so grateful you are here!